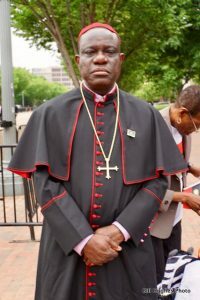 Activists for justice for Biafra held a rally Tuesday in front of the White House seeking President Donald Trump’s help with respect to the cause of Human Rights for their people. They also claimed that from 2015 till today more than “3,000” members of the “Indigenous People of Biafra” (IPOB) have been murdered. The activists are also seeking the immediate release from a Nigerian prison of Nnamdi Kanu, a well known spokesperson for Biafra’s cause. They claim he is a “freedom fighter” who is being held illegally and only because he is a supporter as a moral issue a free and independent Biafra. In 1967, Biafra was located mostly in the southern, Christian part of Nigeria, “South and Middle Belt of Nigeria.” It was once known as “Biafraland,” and also the “Land of the Rising Sun.” It has a long, ancient history. It is populated mostly by the Igbo tribe. A military coup took place in 1967. Nigeria responded with an effective military blockade of the area. Millions died as a result. The conflict ended in 1970. The Biafra secessionist movement failed. Recently, street protests have taken place in the southern part of Nigeria – an oil rich country. They are demanding that Kanu be released from prison. They are also asking for better treatment for the Igbo people. Some are even arguing for an independent state of Biafra, something the Muslim-dominated Nigerian government will not consider. The movement for some degree of independence for Biafra, so far has been peaceful, but serious tensions remain. Summing up, the activists at the White House want President Trump and the U.S. to support their cause. Kanu has even written a letter to the American president from his prison cell to that effect. The ball is now in President Trump’s corner. The buck stops on his desk. More of my photos can be viewed on my Facebook page. Let me provide background information that is clearly missing from this article. Nigeria is not an indigenous creation (think about the fact that the name Nigeria is derived from a racial slur). It was conjured as a British colony that cobbled together three actual indigenous nation states: Zanfara in the north regions, Benin in the Western Region, and Biafra in the Eastern Region. 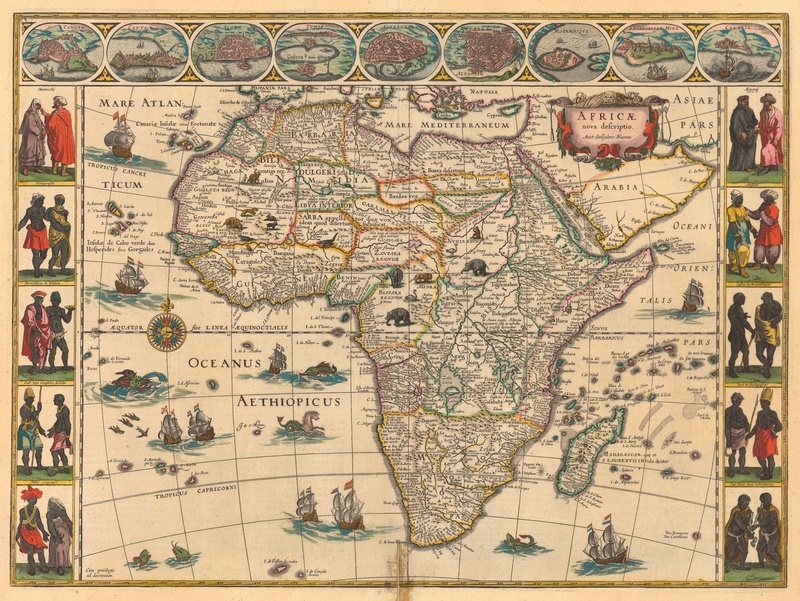 Attached is a map downloaded from the Princeton University Archive that dates to 1644. Zanfara, Biafra, and Benin are clearly visible in the West Africa region. These nations are documented over a period spanning from 1584 to the late 1800. They were combined after the Berlin Conference where European colonial states decided to remake Africa according to their economic interests. Imagine how life would be would be if America was merged with Mexico in a unitary state. That is life in the Nigerian federation. After independence from Britain, the people in these three nation states figured that living together was worth a try. In short, it simply has not panned out because of the clashing value systems, views on reality, and ideas of progress. In the war referenced in the article, over a million Biafrans were killed mostly through starvation and Britain helped Nigeria accomplished this. Biafrans are of the position that we are ready at this point to forge ahead independently rather than adhere to a ludicrous order propped up by foreigners to obtain Biafran goods and resources for cheap. The irony of Britain’s refusal to recognize Biafra is that while it does so it begins negotiations over its exit from the EU while Scotland prepares to exit the Britain. The truth is that countries were created for the people and not the other way around. There is no country on the face of this earth that is indivisible. This has shown to be true in many instances and Biafra will be one of them. For we Biafrans, remaining in Nigeria after October 1st 1960 was a mistake that we will take all appropriate measures to correct.